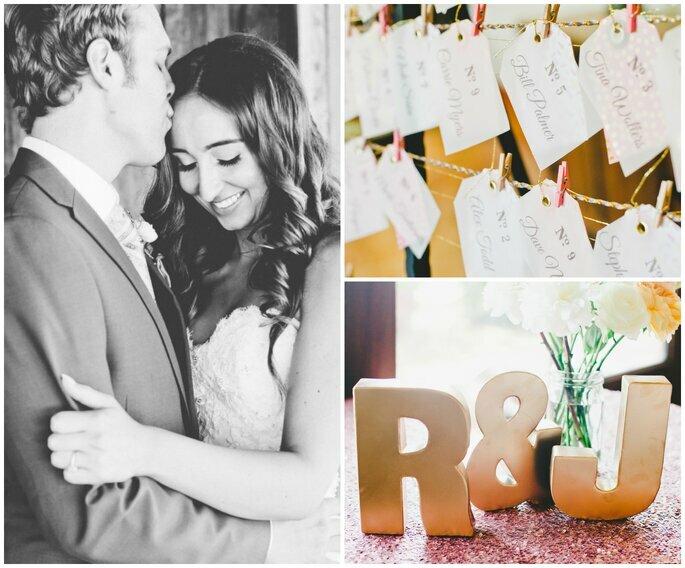 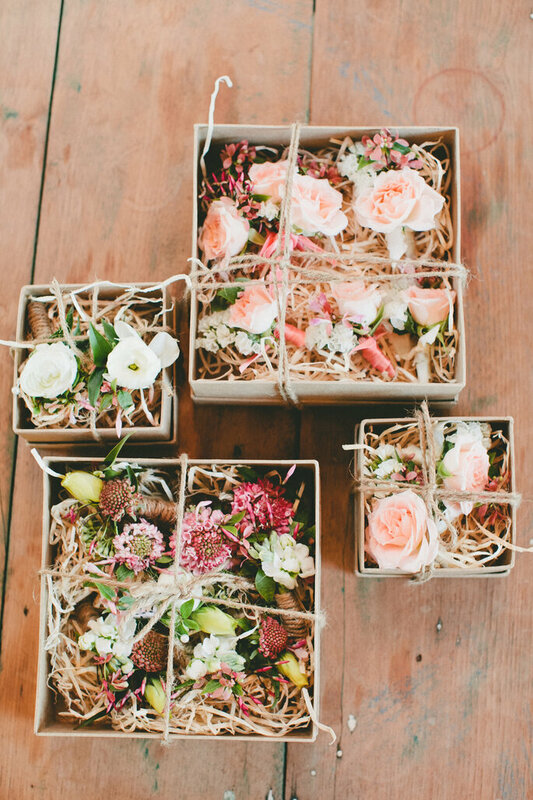 Romance and inspiration awaits in this super sweet real wedding - keep an eye out for the table cloth and cutlery! 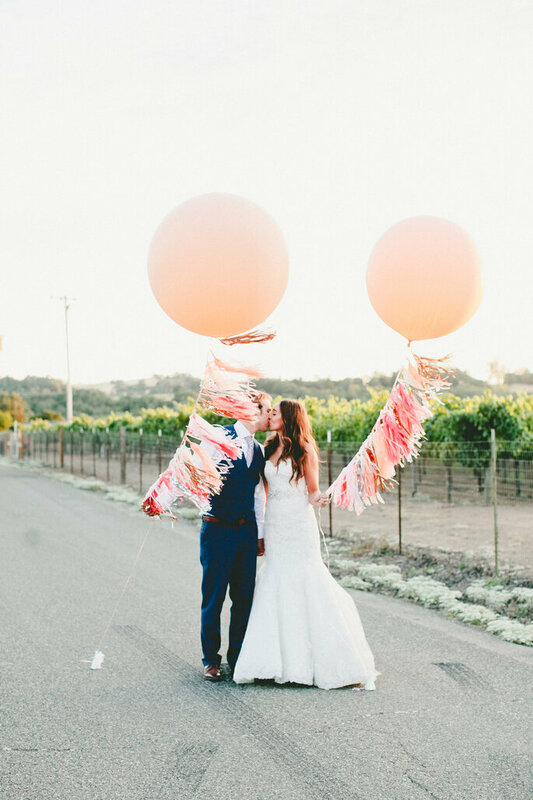 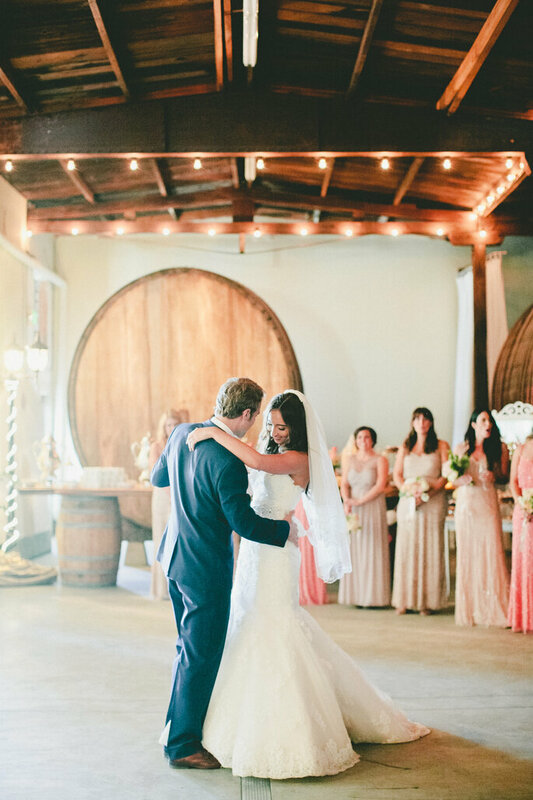 This relaxed, romantic real wedding at a private winery estate is filled with soft colors and dashes of sparkle. 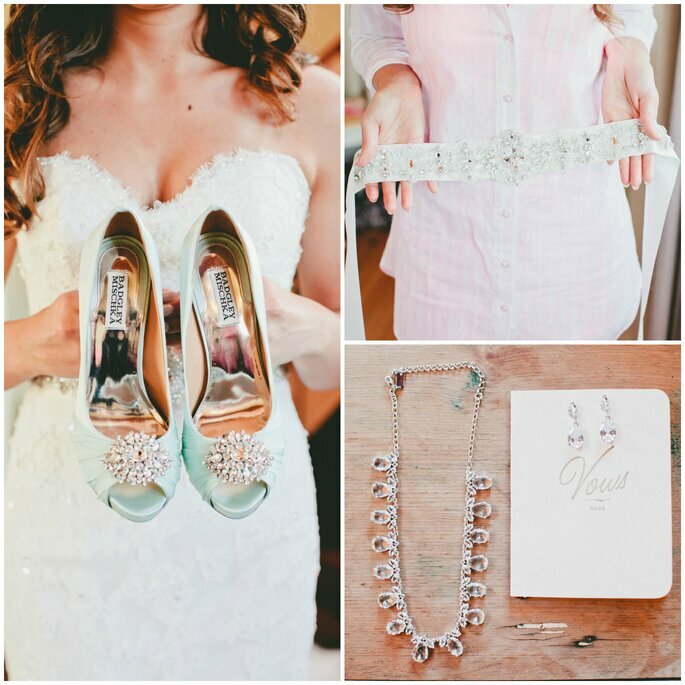 The lovely couple and their wedding was captured by onelove photography and coordinated by Megan Clark. 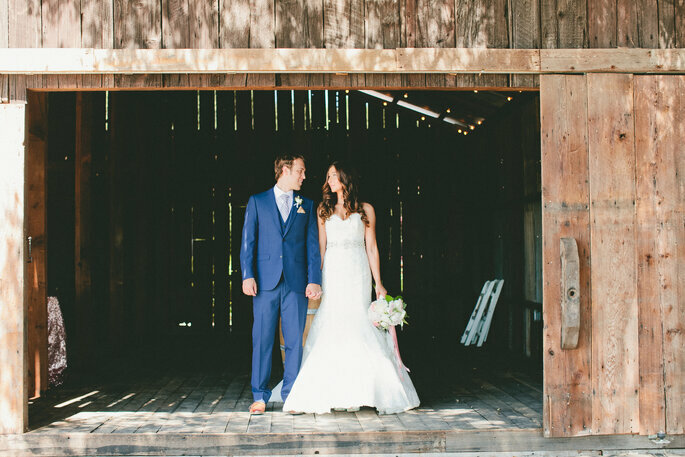 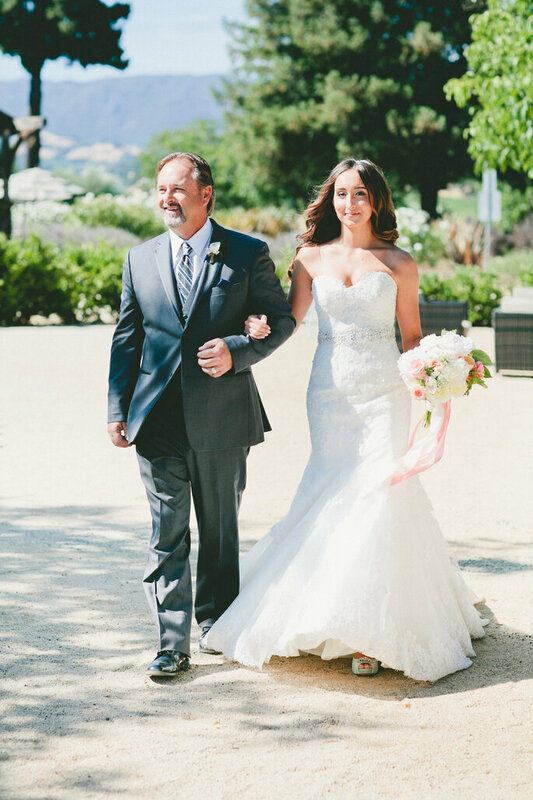 The bride looks gorgeous in a Maggie Sottero wedding dress, but we especially love the handsome groom’s blue suit! 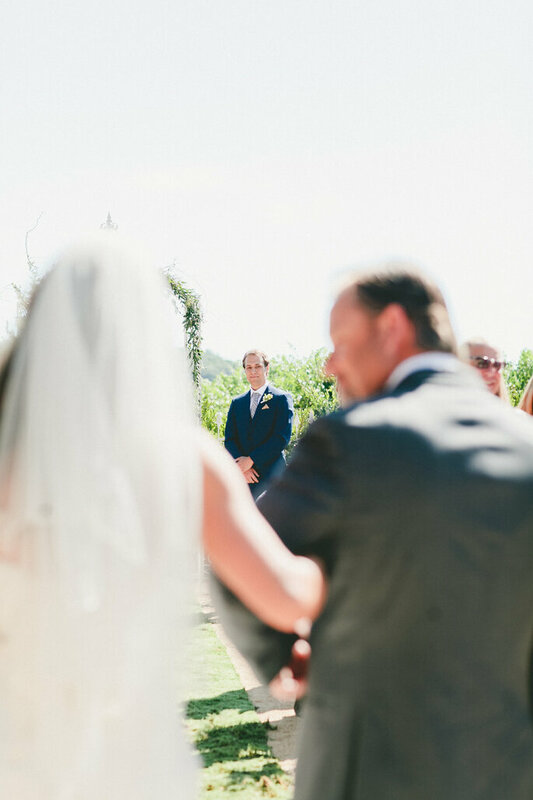 Usually all eyes are supposed to be on the bride, but this is what she had to say about it: when I walked down the aisle my eyes were glued on the man in blue! 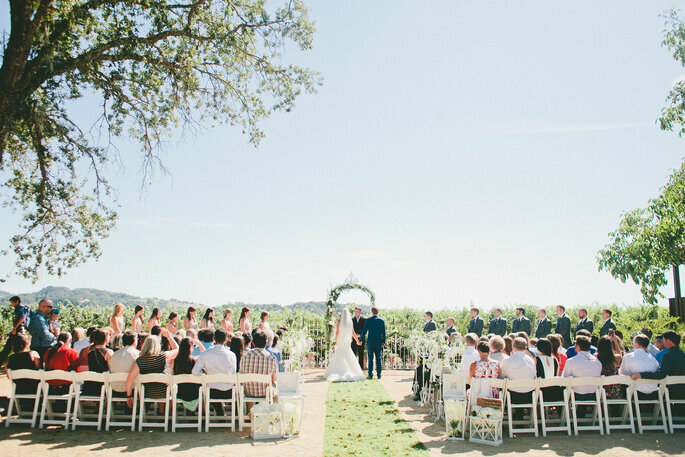 The private winery makes for such a romantic backdrop for this real wedding. 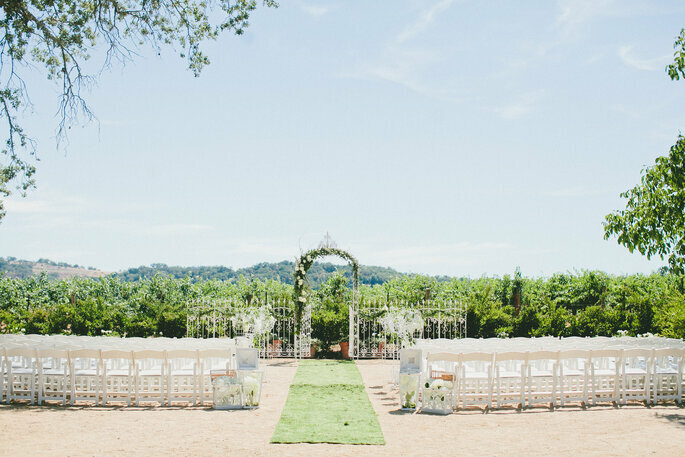 The silvery greens and pastel florals created by Papillion Floral Design perfectly matched the setting. 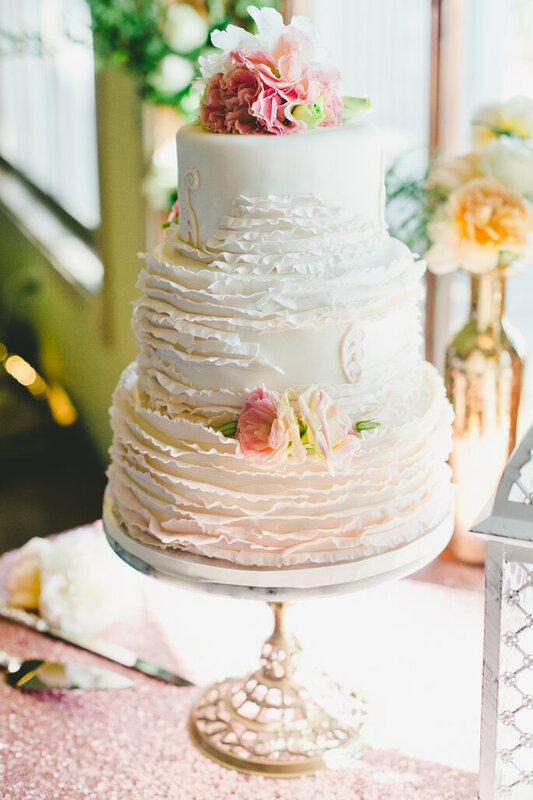 The softly tinted layered cake by Forget Me Not Cakes is almost too lovely to eat…almost. 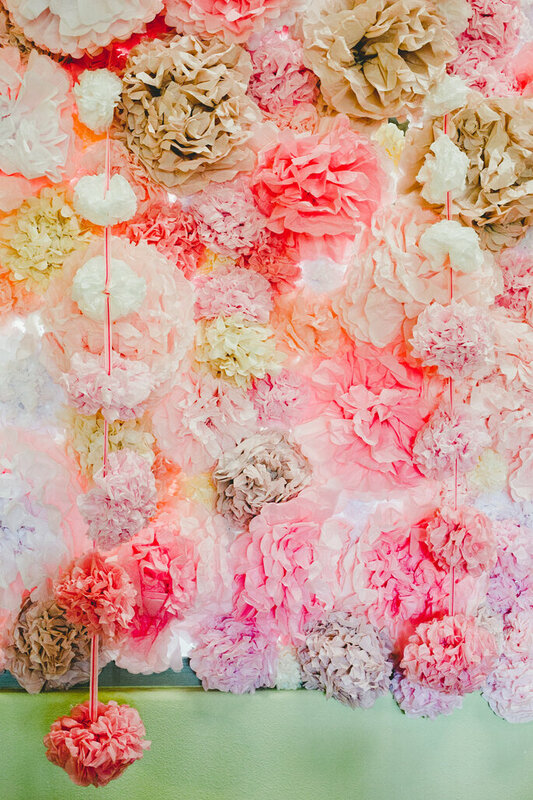 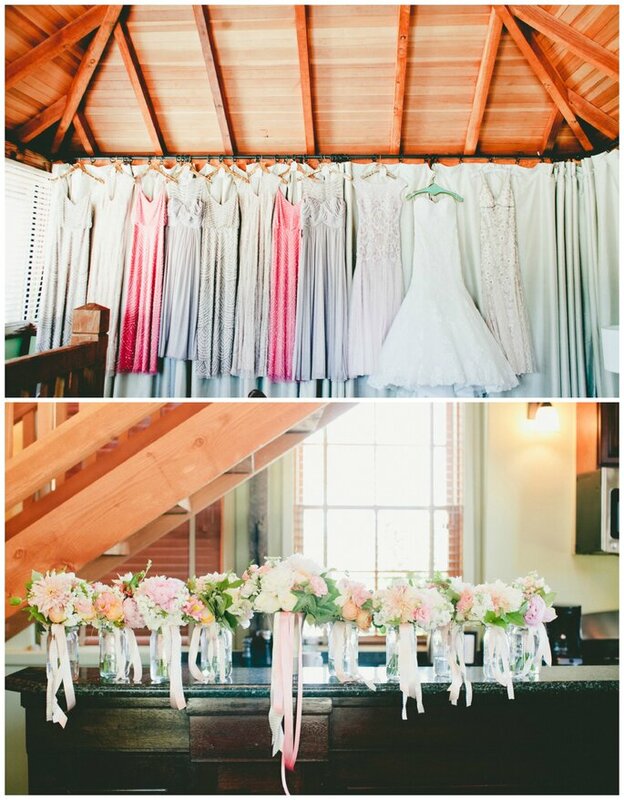 It also was a perfect reflection of the soft pastel florals and general color palette of the wedding. 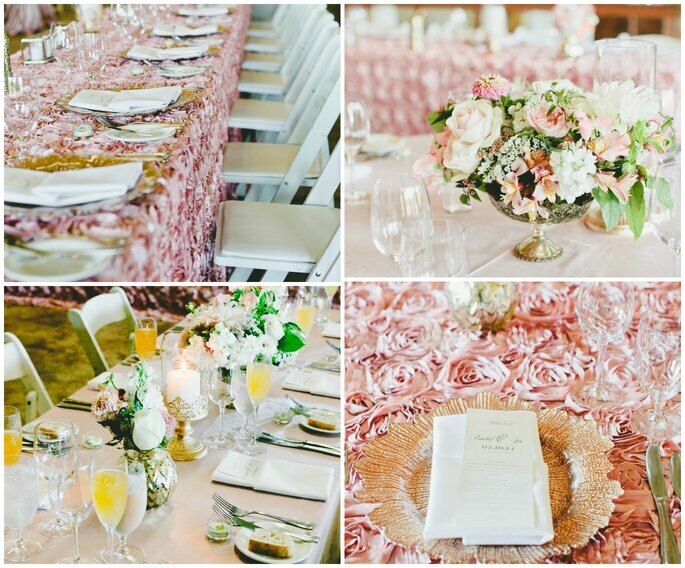 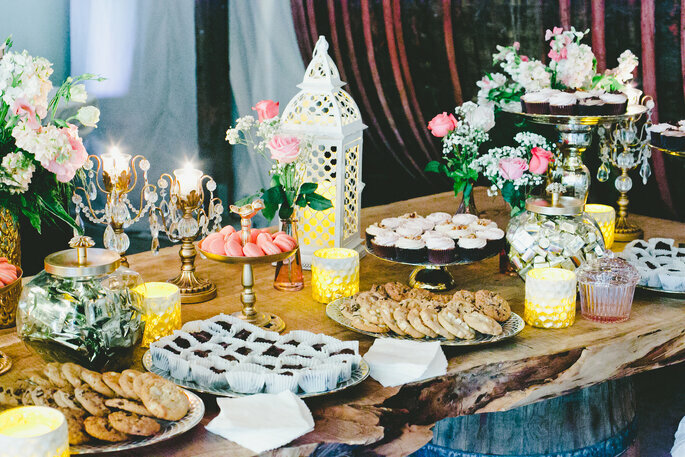 There are so many sweet details in this wedding: the crinkled pink table cloth from La Tavola is a stunner! 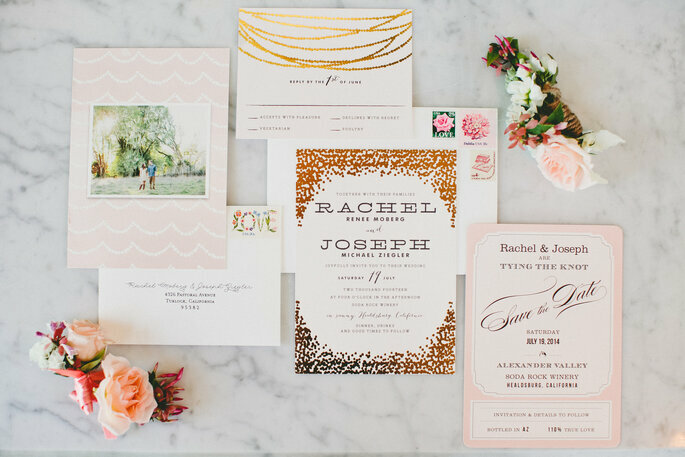 And paired with golden/brass cutlery, it makes for a lasting impression. 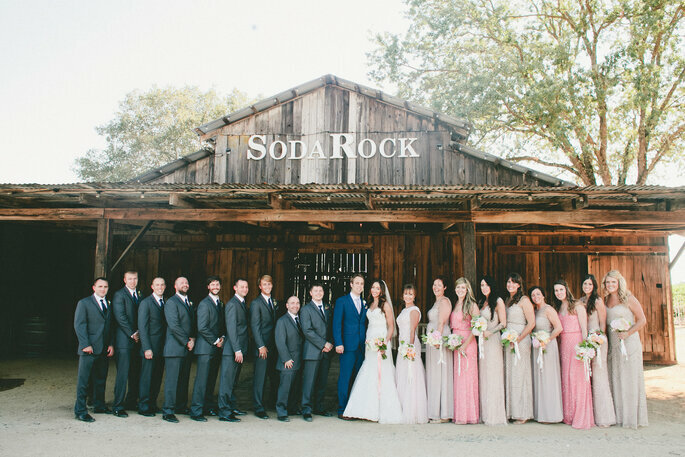 Would you like to contact Maggie Sottero?